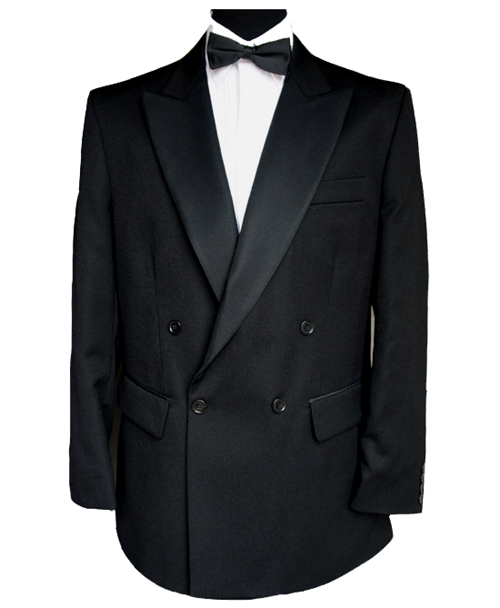 Tailored to a very high standard, this Double Breasted Dinner Jacket is manufactured from the finest 11 ounce Barathea Wool. 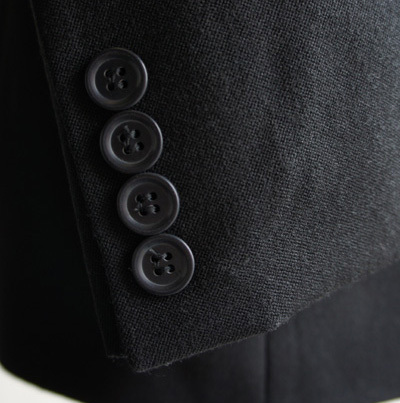 In traditional style, it has four front buttons and 4 sleeve buttons on each working cuff. 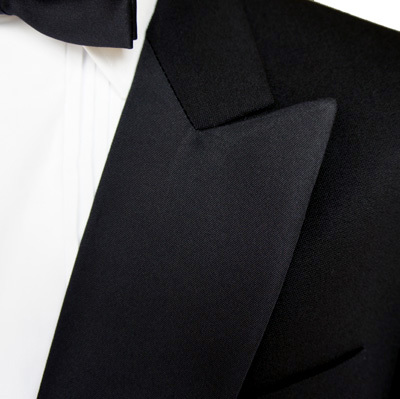 The peak lapels are faced with grosgrain ribbed satin. The Cloth used for this jacket is the same as that used in our White Tie finest barathea clothes. You are therefore able to combine wearing our Finest Barathea Wool Dress Trousers with this jacket.